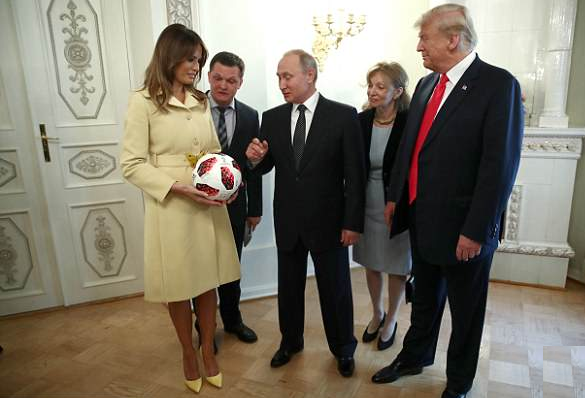 At the end of the yesterday’s press conference between US President Donald Trump and Russian President Vladimir Putin, the Russian detail of Mr Putin handed him a gift he had brought along: a ball used during the World Cup final between Croatia and France. US President Donald Trump was clearly delighted with the small token of appreciation and replied: “That’s right, thank you very much, we do host it and we hope we do as good a job, that’s very nice. That will go to my son Barron, we have no question, in fact Melania, here you go,” whilst tossing it to his wife. FLOTUS missed the ball tossed to her but luckily Secretary of State Mike Pompeo who was sitting next to the first lady in the front row caught it and handed it to her. The first lady had a big smile on her face during the rest of the press conference as she held the collector’s item on her lap. As many onlookers know, the First Couple’s son is crazy about anything soccer and was photographed in soccer outfits on several occasions already. He plays for a local Washington team. However, Republican lawmaker Mr Lindsey Graham spoiled the warm moment that most commenters thought was truly innocent by warning that the ball could be bugged. As most journalists agreed afterwards, President Donald Trump had indeed found an ice-breaker in bringing up the World Cup to Russian President Vladimir Putin during their meetings. Sad that 1st thought I had was that ball might have a pinch of novichok before adding the air. The Congressional mental cases had a fit when Trump discussed Russian Hackers of our elections and accepted Putin's word (publicly). Putin more or less stated (politically) that at the time he was not aware of it, or that it was not a Russian Government sponsored Hack. While I have serious doubts of Russia's national innocence into the hacking of Hillary and in fact ALL candidates for possible blackmail info. Starting Cold War II is not the right solution now either is it? When you are #1, #2 thru #4 goal is to weaken and control the superior economy, resources and technical abilities or #1. If they had left Hillary to do her best, she likely could have accomplished this for them in 4 years. We have a well known Socialist Boogeyman (George Soros) Figure (like in 1984) that wants a 1 government controlled society. 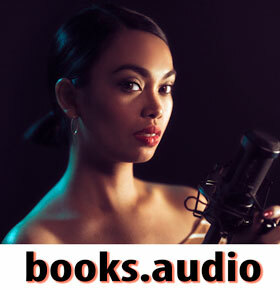 We constantly hear 2nd , 3rd and 4th hand what he said and is doing behind the scenes. When will we see this Boogeyman in from of the US Congress for a Q&A.